Friday Night was the first of many from my “favorite beverages” series. I enjoyed trying to capture the nuances in the Jose Cuervo tequila bottle and the shot glass. 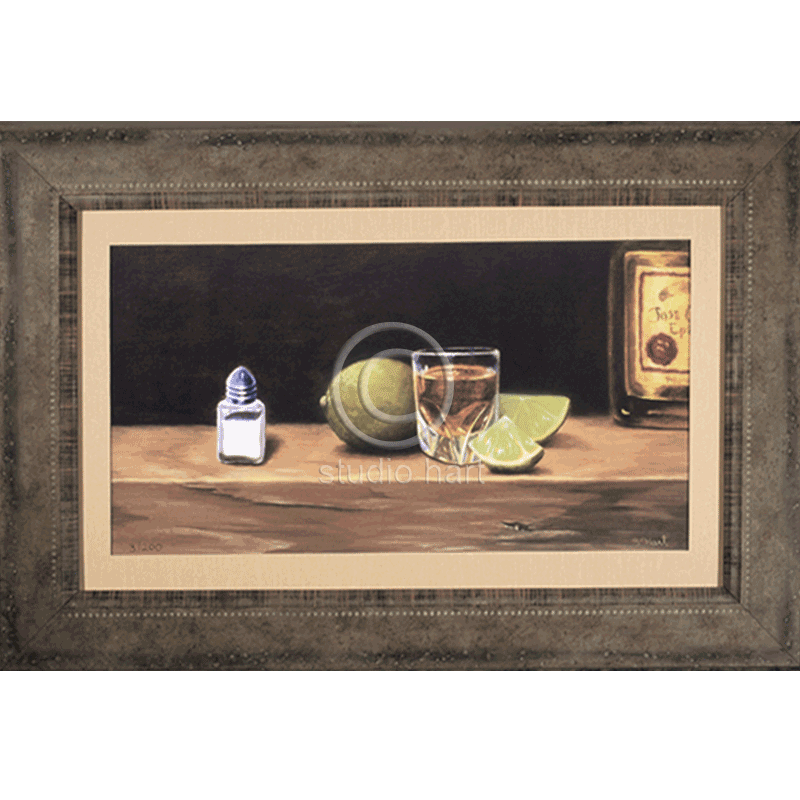 To date I’ve painted 3 commissioned pieces of clients favorite tequila, I can only assume it falls into the favorite beverage category. Size: Image 11×19″. Framed size 16×24″.